Purdue University in Indiana has conducted a study into the effects of highly caffeinated energy drinks and highly caffeinated alcohol in adolescent mice. 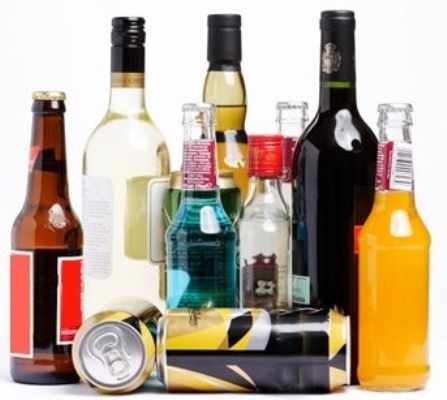 These alcohol studies cannot be performed in adolescent humans, but changes seen in mouse brains with drugs of abuse have been shown to correlate to those in humans in many drug studies. The scientists found that when energy drinks with high levels of caffeine were mixed with alcohol and given to adolescent mice, they showed physical and neurochemical signs similar to mice given cocaine. "It seems the two substances together push them over a limit that causes changes in their behaviour and changes the neurochemistry in their brains," said Professor Richard van Rijn. "We're clearly seeing effects of the combined drinks that we would not see if drinking one or the other." With repeated exposure to the caffeinated alcohol, those adolescent mice became increasingly more active, much like mice given cocaine. The researchers also detected increased levels of a specific protein, known as FosB, which is a marker of long-term changes in neurochemistry, elevated in those abusing drugs such as cocaine or morphine. "That's one reason why it's so difficult for drug users to quit because of these lasting changes in the brain," authors explained in a statement. It was also claimed that caffeinated alcohol had given mice so many intense highs that it had stunted their brain's reward centre. As a result, mice exposed to caffeinated alcohol during adolescence were less sensitive to the “pleasurable effects” of cocaine. It meant those mice would need more cocaine to get the same feeling that unaffected mice would get. Professor van Rijn used saccharine - an artificial sweetener - as a substitute for cocaine to test the theory. As predicted, the mice exposed to caffeinated alcohol in adolescence ate much more saccharine than the other mice. “Mice that had been exposed to alcohol and caffeine were somewhat numb to the rewarding effects of cocaine as adults,” he said. The results were published in the journal Alcohol.